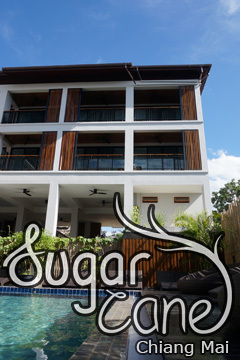 Buaraya Hotel - Old City, Chiang Mai, Thailand - Great discounted rates! 7.4 out of 10 based on 1511 verified user reviews via Agoda. Located in Old City, Buaraya Hotel is a perfect starting point from which to explore Chiang Mai. The hotel offers a high standard of service and amenities to suit the individual needs of all travelers. Free Wi-Fi in all rooms, Wi-Fi in public areas, car park, room service, family room are there for guest's enjoyment. Some of the well-appointed guestrooms feature television LCD plasma screen, internet access ?ÛÒ wireless, internet access ?ÛÒ wireless (complimentary), non smoking rooms, air conditioning. The hotel offers various recreational opportunities. No matter what your reasons are for visiting Chiang Mai, Buaraya Hotel will make you feel instantly at home. Buaraya Hotel - Chiang Mai classifies itself as a 3 star hotel.